Healthcare organizations managing both paper and electronic records face ever-rising costs. Consolidating these files in electronic medical records, or EMRs, helps businesses reduce these expenses, work more efficiently, and meet federal guidelines and medical mandates. 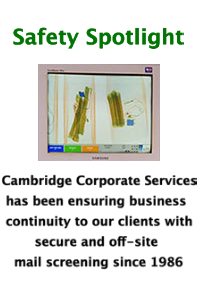 Going digital can be daunting, but with the help of a trusted EMR system, like Cambridge Corporate Services, it’s easier than you think. How Does Medical Record Conversion Work? 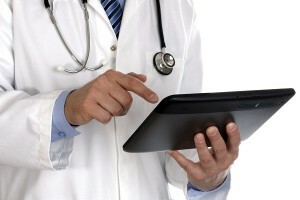 Conversion simply requires scanning the paper medical records, then entering relevant information into the EMR system. You might convert records in their entirety or selected information only. 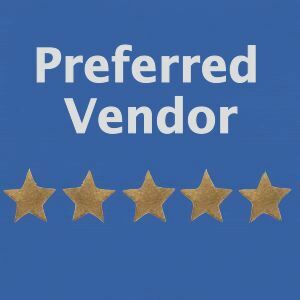 Depending on your practice size and your number of records, you could scan the records yourself, hire contractors to assist, or hire an external firm. Most third-parties work on-site for the security of your records. If yours works off-site, keep a copy of important patient information on-site in case of emergencies. Once converted, EMRs can be stored on a local network or remotely using cloud storage. While security must be addressed, cloud storage allows health professionals to access EMRs when working off-site using file transfer protocol (FTP). Once EMRs are converted and stored, staff training in the new indexing process is crucial. The biggest advantage to converting all information is that it renders paper records obsolete. They can be stored off-site to save office space, and the medical center can work entirely from the electronic documents. However, this approach is time-consuming and therefore quite costly. Converting only some information can save time and upfront costs, but it leaves paper records taking up physical practice space. To aid efficiency, your business might scan vital information from medical records of patients with pending appointments, such as recent treatment notes, medical history, and a list of current medication. The practitioner could then build on this information by adding to the EMR. 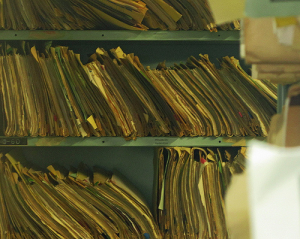 As medical receptionists take new appointments for patients with paper records, they could submit an on-demand digitization request. An EMR, rather than a paper record, would be created for each new patient. Over time, the EMRs would contain all relevant details of current, active patients. It’s a lengthier process, but one which minimizes up-front time and costs. Why Would We Store Paper Records? After making the effort to convert paper records into EMRs, it might seem strange to pay for long-term off-site storage. However, most state laws insist healthcare providers keep original medical records for at least five years. An EMR can stand in its place, but only if it’s complete. However, even if you have converted all records, it’s advisable to keep paper records for some time to ensure the EMR has correctly stored and backed up all information from all files. After this time, paper records must be securely shredded. Certified destruction from a firm qualified by the National Association for Information Destruction is the best way to guarantee legal compliance. Going digital can be daunting, but Cambridge Corporate Services looks to minimize the hassle when converting your paper medical records to EMRs.